Join the multi-award-winning performers of Opera Mariposa and the Mariposa Theatre Wing for their fifth annual charity benefit show! 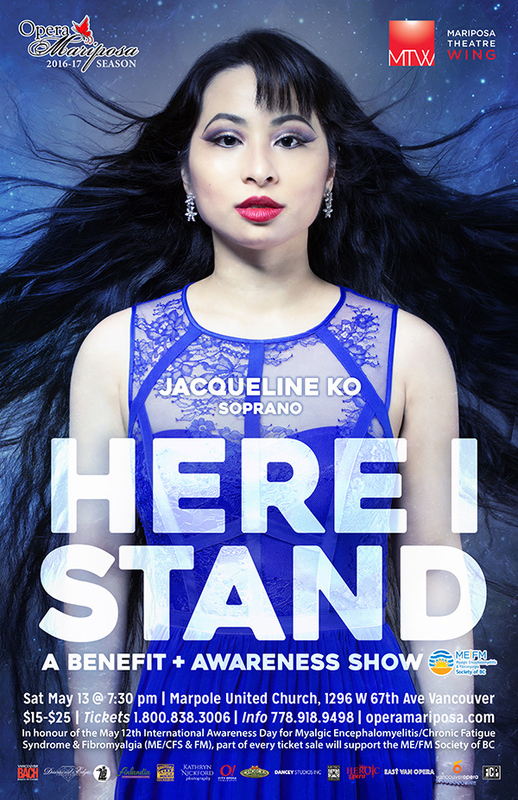 In this gala concert, soprano Jacqueline Ko and friends will perform pop, opera and Broadway - including highlights from the Tony Award-winning musical Hamilton - in support of the ME/FM Society of BC and the International Awareness Day for chronic neuro-immune diseases. Don't miss the uplifting new show from the singer who "knows exactly what to do with an absolutely gorgeous voice" (Review Vancouver). The evening includes a reception and a charity raffle contest with over $3,000 in prizes.